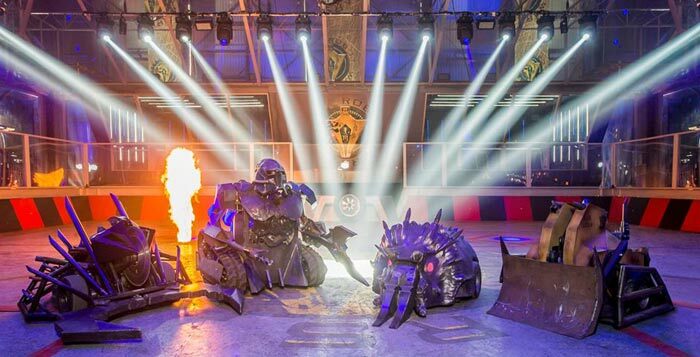 Robot Wars is to return to the BBC after over a decade away from our screens. 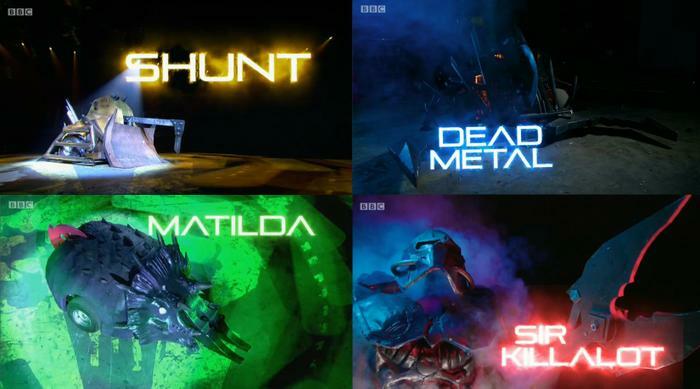 Arriving on Sunday 24th July, the new series brings along with it new presenters, a bigger arena, and even more formidable (and nastier) house robots. Dara O'Briain and Angela Scanlon will host the revival of the series, as you can see in the image above. The basic formula will remain the same; rival amateur engineer teams will pitch their radio-controlled robotic creations in an arena. As with any reboot things have got to be bigger and better and we are promised that with the new arena and the reanimated quartet of house robots. This robot now weighs 300Kg and features a 300PSI pneumatic scoop and a titanium tipped axe. Now weighing in at 370Kg, Dead Metal has 1.4m wide pincers. Once it grabs hold it will start taking the opposition apart with its 4000RPM circular saw. The Triceratops tribute robot is 3x heavier than in previous series and features 800PSI tusks which can flip over opponents weighing over a tonne. There's no safety zone behind Matilda as she has a 35Kg flywheel tail. The revamped 'king of carnage' weighs 750Kg. For combat this robot features a crushing claw to exert 2.4 tonnes of pressure to the sensitive parts of challenger robots. Now he's also twice as fast, so it's harder to escape his wrath. 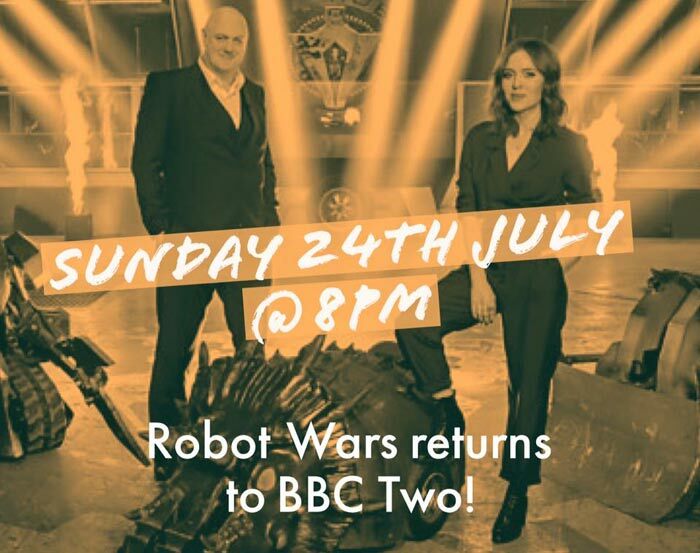 You can tune in live to watch the first of the new Robot Wars shows at 8pm on Sunday 24th July, on BBC2, in the UK. The first of this 6-part series will feature a team of students from Reading and a family team from Caithness. The BBC also teases the return of "a memorable robot from the original series" in the first show. Looking forward to this. We're building a robot so we can apply for the next season at the moment (just missed out on the cut off for this one :( ) so I am curious to see what we would have been up against! Looking forward to seeing this, but I was hoping for Craig Charles and Philippa Forrester to be the host and backstage interviewer respectively, for old times' sake. Yes, they should've gone true 90's retro!